Mexicans are incredibly proud of their food. Never have so many people asked me with sincere interest what my favourite national dish was. A new friend, a casual acquaintance, my university professor – literally everyone wants to know what I have tasted so far and what I think about it. 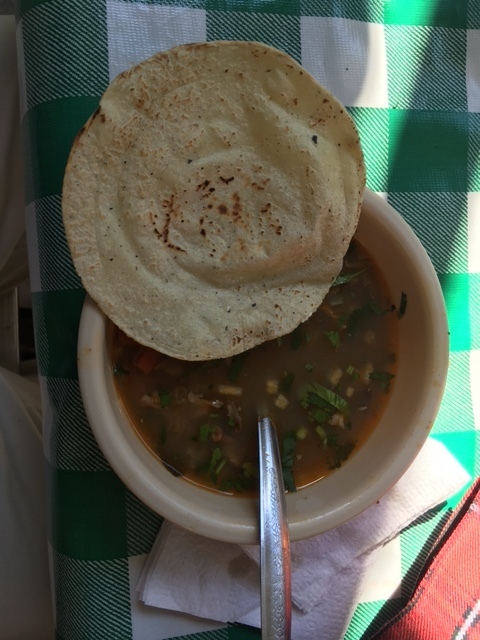 So, here it is - once and for all - my German perspective on Mexican food culture. 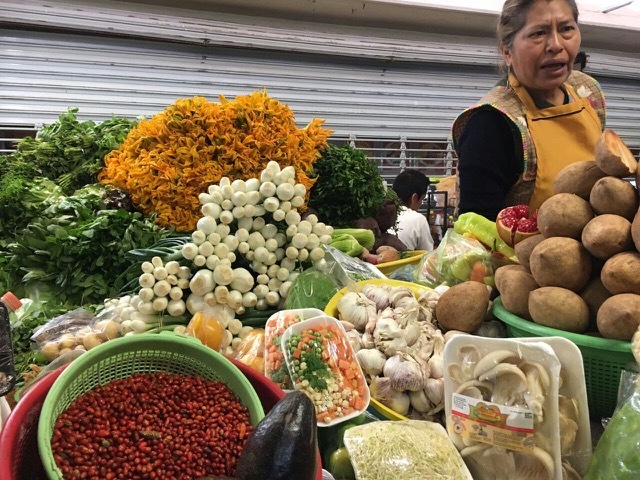 Mexico’s food markets are a cultural bridge between ancient Mesoamerican food culture, such as that of the Mayans and Aztecs, and today’s modernist cuisine. The Mexican streets are filled with restaurants of all sorts, and Mezcal- and Tequila-bars pop out of every hole-in-the-wall. All these culinary places, even the simple carts on the street, serve as cultural and social centres reflective of the incredible vitality of this country: people gather, eat, drink, talk and enjoy life at any given moment. Traditional Mariachi and banda bands are, without exception, in every restaurant you visit. The guests ardently sing nostalgic songs full of love and heart pain, drinking more tequila, arm in arm with their friends, tears in their eyes and bellies full of delicious national dishes. The quintessential Mexican night. On Sundays, comida bring together huge families from early afternoon to night. These are more than just a celebration of food; they are a festival of togetherness in a country utterly divided. Food is a curative for Mexicans. Mexico is a troubled country in a quasi-civil war, where horrifying stories from the human abyss reach the surface on a daily basis. It is a country where a vicious circle of corruption and violence paralyses politics and everyday life. A country where inequality, racism and discrimination are sources of permanent heartache. In a country where frustration and poverty are boundless, food and music have a key role. And this is where Mexico doesn’t lack a thing. Mexico has an incredible biodiversity: ranging from the Pacific coast to the Caribbean one, from freshwater rivers, to the central highlands with cornfields and cactus farms; from the lower highlands with coffee, cacao, avocado and agave farms, to the deserts with their chillies, insects and cactus fruit and to the jungles with papaya, mangoes and fruit you’ve never heard of: everywhere there is a local specialty waiting. And these specialties intermingle, creating unique combinations and creations. Every spot on the Mexican map is famous for some culinary wonder. And every street in any given city is famous for one too. Dishes vary from village to village, from corner to corner - yeah you get it - from house to house, and from grandma to grandma. Mexican dinning is seemingly limitless. Tacos al pastor, enchiladas, ceviche, chapulines (dried and spiced insects), fruit juices sent right from heaven, quesedillas de flor de cabaza, a michalada (beer with tomato juice, lime juice, salt and spices) 25 different cortes (types of cuts) and preparations of any type of meat; mezcalcito, chilaquiles, thousands of different hot sauces. And when you think you’ve reached the end, they offer you mole sauces made from dozens of ingredients, a handful of different colours and tastes, accompanied by the specialty of the season. My life changed when I went to a Mexican market. Mexican food is nothing but decency and simplicity – it’s bright colours, exotic spices and odours, a combination of funky tasty sensations. Having only lived in the country for four months, I have tasted but a fraction of what Mexican cuisine has to offer. I will keep trying everything. Not just for the sake of my Mexican friends, but for the sake of the culinary monster that it provokes in me. The pride, identity and energy Mexicans put into their food is contagious. It’s fun to love what you eat, and share this love and fascination with everybody around you. A culture that celebrates death, celebrates the art of living too – and most of the time living means eating. So what can we, Europeans, learn from Mexico’s food fascination? Especially from a German angle, we often see food as a necessity. We want to make it efficient, fast and cheap – no fuss, no fun. But why? Why do we walk away from one of life’s easiest joys? We have to find our own way to make food joyful, affordable and fun – and that can go hand in hand with efficiency. Let’s keep in mind that we should always be able to celebrate life by having a great meal together with family, friends or just a stranger. And it’s also incredible fun to teach foreigners about our own food culture. Let’s be a bit more Mexican. KONSTANTIN ZELL. Anopen-minded German globetrotter, who studies in Paris, loves Africa and Latin America, and food from the entire globe. He believes in the powers and magics of what makes us us - the food we eat and in the importance of how we eat. Thrilled by the politics, sustainability and the future of the world of food. Would love to be vegan.